PLEASE NOTE WE HAVE NO ACCOMMODATION AVAILABLE FROM THURSDAY 5 MAY UNTIL 30 MAY 2019. WE WILL BE CLOSED FOR SOME UPGRADES OVER THIS PERIOD. Cook up a feast at the end of an adventurous day, relax in your own holiday home away from home. 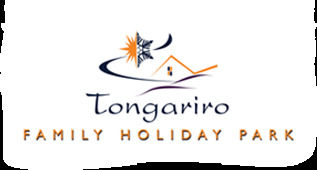 Experience Tongariro Holiday Park’s King Studio Self Contained Units that have showers, toilets and basic cooking facilities in the unit. The brand new Sleepyhead King bed makes for a great night sleep. Max 2 persons allowed which includes all children and infants. Please note: Bedding is supplied. A MINIMUM TWO NIGHT STAY APPLIES.